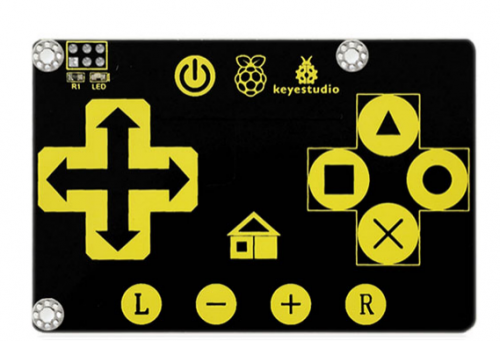 This keypad is designed for Raspberry Pi and supplies your Pi with 16 keys. 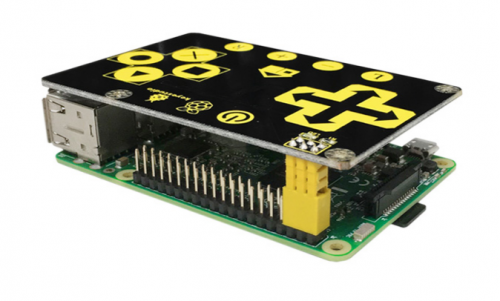 It has an I2C communication mode and uses 3.3 V supply voltage with a power indicator. We provide you with installation package, source codes and a document to help you complete your programs. After power-on have about 0.5sec stable-time. During the time do not touch the key pad, and all functions are disabled. Here is the tutorial for installing bcm-2835 library in Raspberry Pi. To install bcm-2835, first we need to download bcm2835 library. So we will provide an installation package or click its official web http://www.airspayce.com/mikem/bcm2835/ to download it. 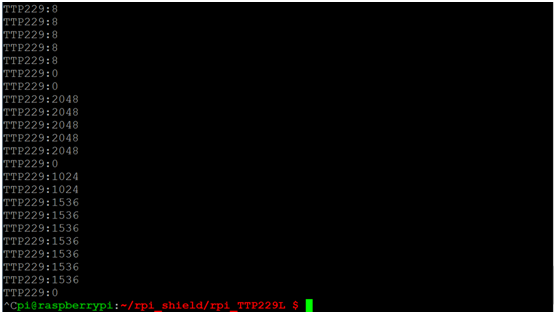 then copy the file rpi_TTP229L provided by us and put it into the directory rpi_shield through winSCP. 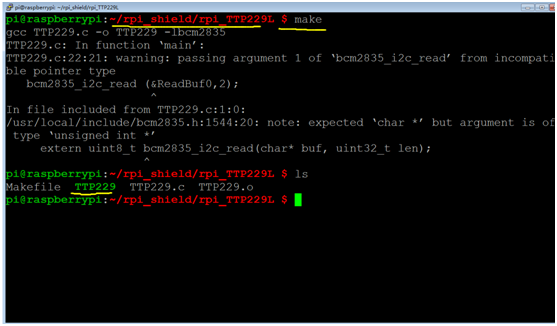 Next, type this command: cd rpi_TTP229L to go inside the rpi_TTP229L folder. Then type this command: make to make an executable file; This means this is the file we run to launch the program as shown in below figure. To make a new directory, you just need to add the name of the directory after the command, such as 'mkdir new_directory'. Touch the keys, and corresponding value is printed on the terminal as shown in below figure.